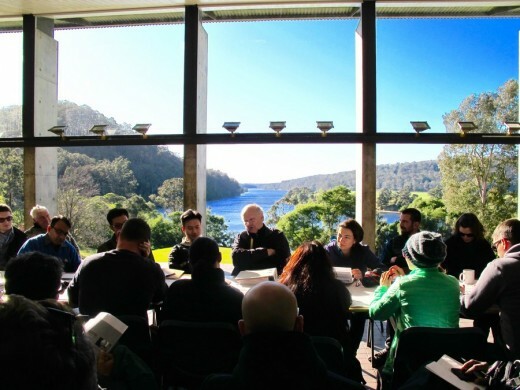 Applications for the 16th Annual Glenn Murcutt Master Class 03-17 July 2016 are now being received. – Richard Leplastrier, who is one of the key tutors on the Master Class, was recipient of an Hon International Fellowship of the 2015 RIBA. – Peter Stutchbury, another key tutor, has been recipient of the 2015 Gold Medal of the Australian Institute of Architects and an Hon International Fellowship of the 2016 RIBA. If you can afford the time and the money to come to Australia for the Glenn Murcutt International Architecture Master Class – it will be a huge inspiration and possibly, as has been suggested by many previous participants, a ‘life changing’ experience. You will see some astoundingly good architecture and meet some great people, and it will bring you into an amazing international network of ‘alumni’ who keep in touch across the globe, fostering international visits and exchanges and communicating ideas and experiences. The Glenn Murcutt Architecture Master Class in Australia has become a major annual event on the international architecture calendar. Started in 2001, architects and senior students from over seventy-five nations around the world have now travelled to Australia to participate in the two-week residential studio based program. 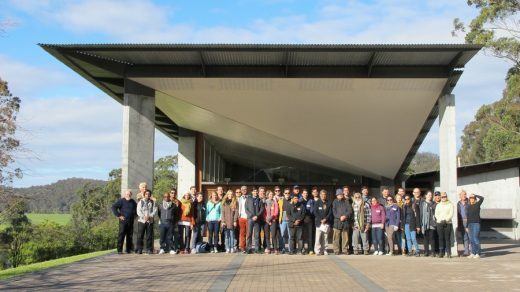 The first week is held at the Arthur and Yvonne Boyd Education Centre on the awesomely beautiful Shoalhaven River south of Sydney. Participants live in what has been described as Glenn’s ‘Master Work’, spend time there with Glenn Murcutt, and experience private visits to some of his famous houses. Glenn personally leads the Master Class, stays at the Boyd Centre with the participants and tutors all groups. The second week in 2016 will be held, as in previous years, in heritage building in Sydney. Other include outstanding Australian architects Brit Andresen, Richard Leplastrier and Peter Stutchbury all, with Glenn Murcutt, Gold Medallists of the Australian Institute of Architects, and master class convener Lindsay Johnston, former Dean of Architecture at the University of Newcastle, Australia. Walk the rugged landscape with Glenn and Aboriginal Elder Uncle Max Dulumunmun Harrison and gain insights into ‘touching this Earth lightly’. 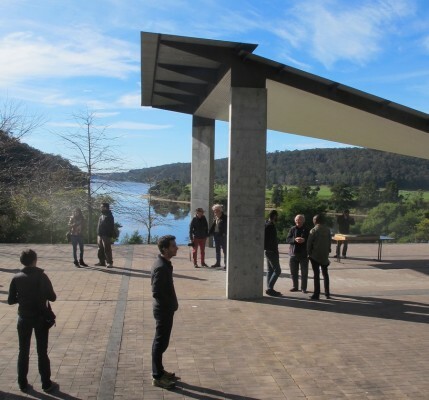 The program includes excursions with Glenn Murcutt to see houses such as the Fredericks / White House in Jamberoo and the Simpson-Lee House at Mt.Wilson in the Blue Mountains. There will also be visits to see some very special houses by Richard Leplastrier and Peter Stutchbury. The intensive two-week design studio program involves a design project undertaken in groups and culminating, at the end of week two, with a design presentation by participants and a critique by Glenn Murcutt and the other tutors. The spirit of the event is that participation is the focus and there is no formal assessment. A certificate of satisfactory completion is presented to all participants completing the program. Professional institutes and universities internationally have, over the years since its inception, accepted this event as gaining professional development or academic credit points. There are only 32 places available, applications are assessed on credentials and merit, with preference given to early applicants. Most participants are qualified practicing architects or teachers, and a few places are available to younger recent graduates or students. As an architect, seeking professional mentorship becomes more and more difficult as one moves beyond one’s own academic training. The GMMC is a rare and invaluable opportunity to find such mentorship and fraternity. The experience will exceed your expectations and give you a rare and indelible opportunity to participate in something truly remarkable. Glenn Murcutt, Brit Andresen, Richard Leplastrier, Peter Stutchbury and Lindsay Johnston provide you a rare glimpse into the meaning, power and necessity for architecture. This truly is a rare experience, which will forever shape you as an architect. GD, AIA, Pittsburgh, PA, USA, architect and teacher. 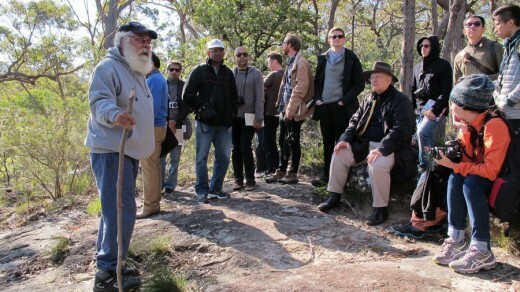 Uncle Max Talk – Glenn Murcutt and participants on the Master Class with Aboriginal Elder Uncle Max Dulumunmun Harrison in the native landscape near the Boyd Centre.